These six states were home to 60% of unauthorized immigrants in 2012. Most unauthorized immigrants are from Mexico, but their number is down from its peak. Unauthorized immigration from countries other than Mexico fell during the recession and has increased since. 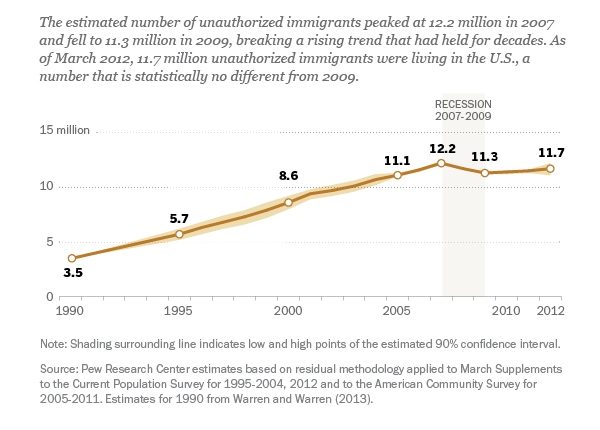 Unauthorized immigrants made up 28% of all U.S. immigrants in 2012, down from 30% in 2007.